Mola Mbua Ndoko: Wisdom and Ways of the Bakweri People: Vakpwe Tales and Fables ~ 277. Mooso amondo mo-mwiti wondenga ame-ngama. 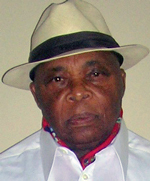 Yuula Malive laughed and said:: “Njoku and Koo are known for presenting exaggerated bills. The cost of their feasibility studies alone will exhaust half of my resources. I will not involve any of them. In fact I do not require the services of any one. I will do the work alone. I will do it fast and satisfactorily. I will roll down the slopes of the mountain with enough speed and force that will enable me to carry all objects – rocks, trees, hills - on my way and dump them far into the Sea of Bimbia. Kaki Inoni intervened: “I am familiar with the area in which you intend to create a straight canal without bends and curves and cataracts. Perhaps it is pertinent for me to bring to your knowledge that there is a high ridge of hills that extends from Ombe to Molive to Wonya Likombo (Mile 4) to Foo (Victoria/Limbe)”. “I have no doubts at all about your might. However, owing to the eastward slope at the bottom of the ridge from Wonya Likombo to Molive to Ombe, when the flood will arrive Molive the bulk of water will flow towards the east end of the ridge at Ombe and then flow into the sea probably close to the Village of Bwinga. Flood water that may climb up to Wonya Likombo will flow down to the sea at Ambas Bay. The flood will then probably not have enough force to burst through the ridge at Molive and enter the sea at Bimbia”. Yuula Maliva retorted: “You have probably not seen me at work. I have enough power at all times to break through any hill. I will create a tunnel through the ridge at Molive and then flow to Bimbia”. After five days of incessant rainfall Yuula Maliva burst its south bank and rushed out like a hurricane. Remarkably instead of the flood to flow southwards towards the Village of Buea, it moved eastwards to the Village of Wova, then southwards to the Villages of Wokpwae and Gbwitingi, and again eastwards to the Villages of Muea, Mosaka to Ekona Mbenge, then eastwards again into River Mungo (Mwanja mwi Ikanje). I can't express enough gratitude for your teachings on this forum. The baseline from the underlying lesson seems to covetly re-echo the benefits of "living together". Na komi eh. Thank you very much for this fantastic story that teaches the geography of Fako. It also teaches the importance of unity and taking advice from friends and relatives. It is interesting that your story has Kaki’ Inoni (vulture). Do we still have vultures in Fako? This is also one of my favorite Mokpwe fables. It depicts the popular folk song where Mola Musonge was called to lead the government in Yaounde. On his retirement (e fonda l’asziole l’amba sango Musonge li mukeh), Mr. Biya called upon Mola Inoni (Mokpwe a’endi, Mokpwe veh a jeh); Sango Inoni on his part said he could not do this trip to Yaounde alone…. Na sende o Yaounde mbiti, Mooso amondo mo-mwiti wondenga ame-ngama. He then called on his brother Sango Njie Meoto to come with him.